INVESTORS ALERT! VACANT POSSESSION, BRING OFFERS! Description: If you are in Investor, this might appeal to you. YOUI's head office will be moving to Sippy Downs in 2017. This means 900 employees who might be looking to live close to work or looking for rentals. Last rental received for this property was $450p/w. 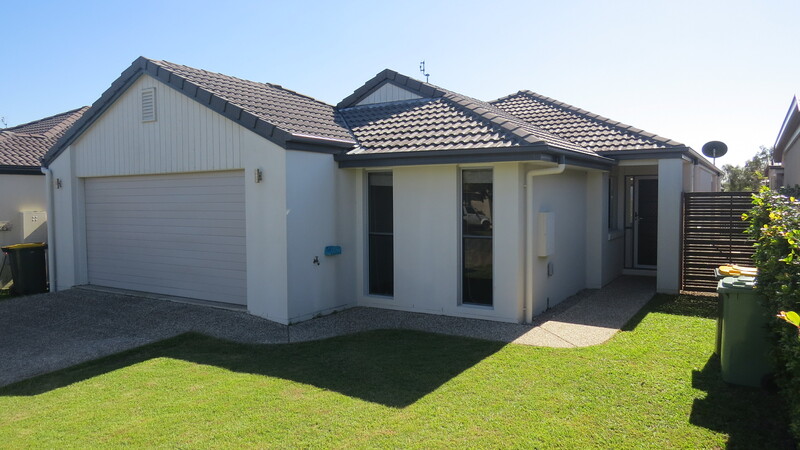 Located in one of the most convenient and desirable locations in Sippy Downs and only 400m away from a large recreational park. This is a stylish contemporary home situated on a low fuss block with minimal gardens and lawns to maintain. There are two living areas, both beautifully tiled, opening onto a private patio area and a courtyard adequate for the family pet, children's slide and sand pit. The kitchen is modern, open plan to dining room and has stainless steel appliances. The master bedroom has loads of wardrobe space and a simply gorgeous ensuite. The other two good-sized bedrooms with built in wardrobes and ceiling fans are located down the hall away from the living areas serviced by a lovely bathroom with a bath and large shower. There's internal access from your double garage with a panel lift door, gas hot water, water tank and access from the back of the garage to the back garden. Easy access for storing your BBQ or lawn mower. This home is modern with neutral tones throughout which can easily be transformed into your dream house or an excellent investment property. Sippy Downs is home to schools Siena Catholic College, Chancellor State College and a Montessori College. An added bonus is The University of the Sunshine Coast located only 6-minute drive from this wonderful home. Be quick and call listing agent Madi Willis today to arrange an inspection. Contact RE/MAX Coast and Country Today!!! Email RE/MAX Coast and Country Now!